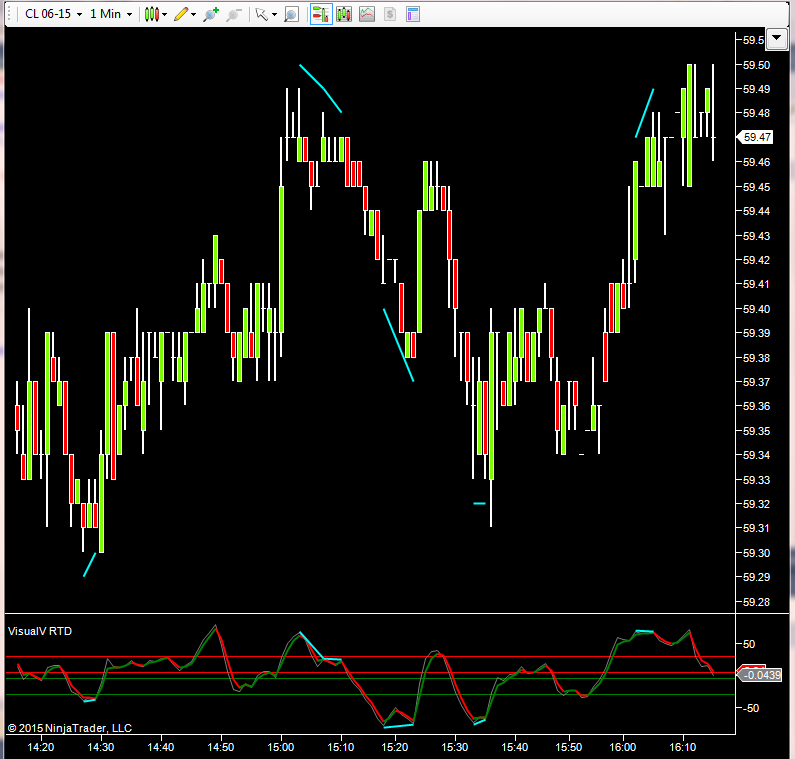 This indicator uses a different algorithm to find divergence on a smaller time frame than the Divergence indicator. It attempts to find very small divergences in price as compared with the underlying indicator which uses very fast parameters. This indicator can be used for counter trend trading or continuation of trend after a pull back with RTD divergence. On the chart, you can see on a 1 minute crude chart that the RTD indicator knocked it out of the park with 4 out of 5 alerts.